Few sports have rules as complex as golf. For instance, let’s look at 12-1. This rule essentially states that an individual is not “entitled” to have a line of site with the golf ball when performing a hit. This rule extends itself and states that if a player believes his or her ball is in the sand they may search by moving the sand but must cover the ball back once it has been located. That is just one strange rule, right? With these rules in mind, Golfoid has prepared this article, telling you which rules R & A and USGA are implementing for 2019. In March of this year, the R & A and USGA presented some new rules to be implemented in early January 2019. The R&A and USGA finalized the new rules after extensive review, which included a request from the golf community to respond to the proposed changes. The two entities have done a study over the past six years to simplify the rules and are trying to do this in a way that the sport of golf does not lose its fundamentals and traditions. According to the proposal submitted, the rules would fall from 34 to 24. In many cases, penalties will be extinguished. If they are approved by golfers, of course. A lot of these rules will make golfers filled with joy. For example, if your club touches the ground when you are in a hazard, there will be no penalties for this incident. This decision to improve some rules was made on the basis of making the rules easier to be understood and thus attracting more beginners to the game. Although most rules are not changed, some rules have been improved. Old Rule: At the time of dropping the ball, it is necessary you stand upright and the drop must be made at the height of your shoulders and arm’s length. New Rule: With the rules change in 2019, you can drop the ball at the height of your knees according to player size. This is a good rule of thumb because, in addition to making this process simpler, you will not be concerned about your ball rolling farther than you want. When measuring the area of relief that you will drop the ball, for your next stroke you usually you pick up any club in your bag and measure accordingly 1 or 2 times according to your club-lengths. With the new rules, it will be necessary that you do this measurement according to the largest club in your bag, excluding the putter. Sometimes, you hit the ball and do not know where it landed. Better yet, sometimes, the ball hits a tree and you can follow it with your eyes. New Rule: With the new rules, you have 5 minutes to find the golf ball. In the event that you do not find the ball, you will need to drop the ball and add a penalty of 1 stroke to your scorecard. (I already see myself having difficulties with this rule.) One more thing that also changed is that the moment that you are searching for your ball, sometimes the rough is a bit high so you can not see the ball very well and can end up moving the ball from the place without intention, resulting in having an extra stroke penalty. In the new rules, such an occurrence will not result in a penalty. 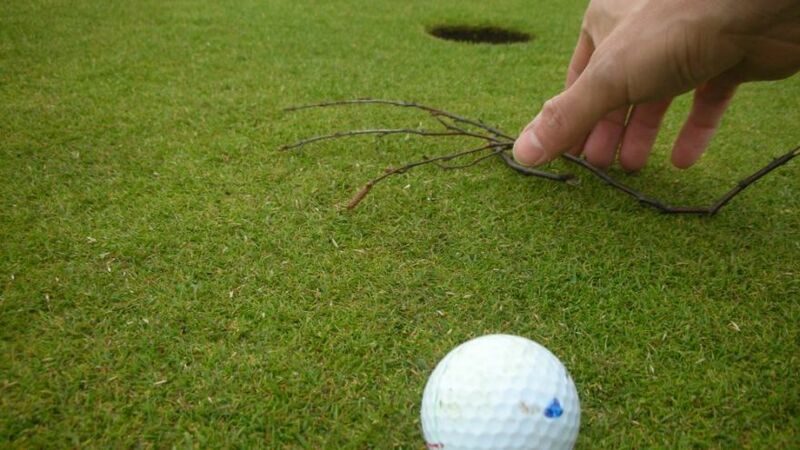 Old Rule: When the ball is on the green and you pick up the ball and place down the ball marker to clean your ball, the moment you put the ball back where the ball marker is, if your ball for, any reason, moves, you need to play from where the ball stops. New Rule: In the new rules, if the ball moves for any reason, even because of the wind, you should replace the ball where the ball marker is. 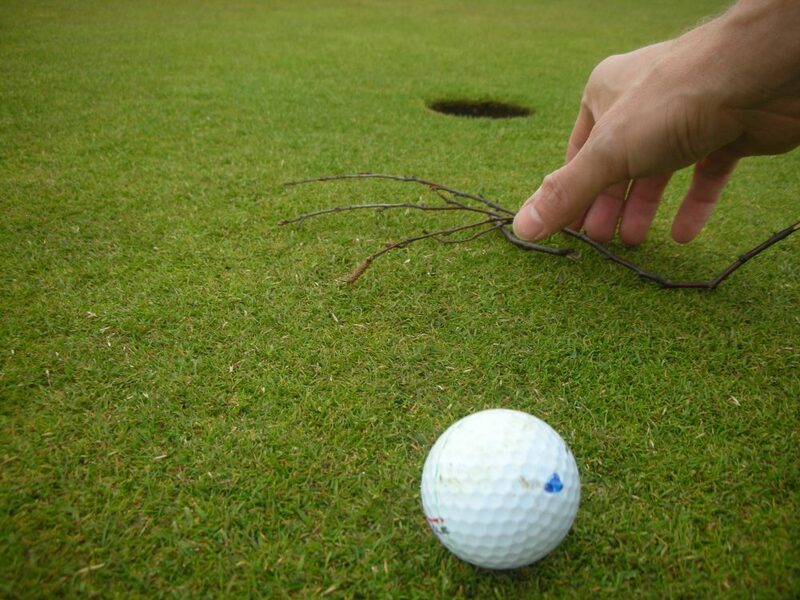 If the player unintentionally moves the ball or the ball marking on the green, it is an extra stroke penalty. In the new rules, moving the ball or ball-marker accidentally will not result in a penalty. Old Rule: When a player hits the ball twice during his turn – typically this results in an extra stroke penalty. New Rule: In the new rules, this infraction will no longer cost a penalty. Old Rule: When you’re on the green getting ready for putting, you can only fix marks on the green caused by the ball marker. New Rule: With the new rules, now you can practically fix most of the imperfections. 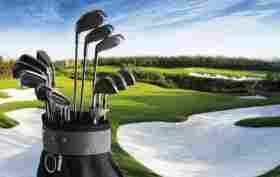 For example, a golfer could fix the marks on the green caused by the spikes of shoes or those caused by animals. The only thing you can not fix it if there are any natural imperfections in the green. Old Rule: When the player touches the putt line or if the player touches the putting green- this typically results in a penalty of two strokes. New Rule: In the new rules, there will be no penalty if the player does not change to better his chances of hitting the ball in while putting. Old Rule: If the player is on the green, he has to wait for the flagstick to be withdrawn so he can hit the ball into the hole. 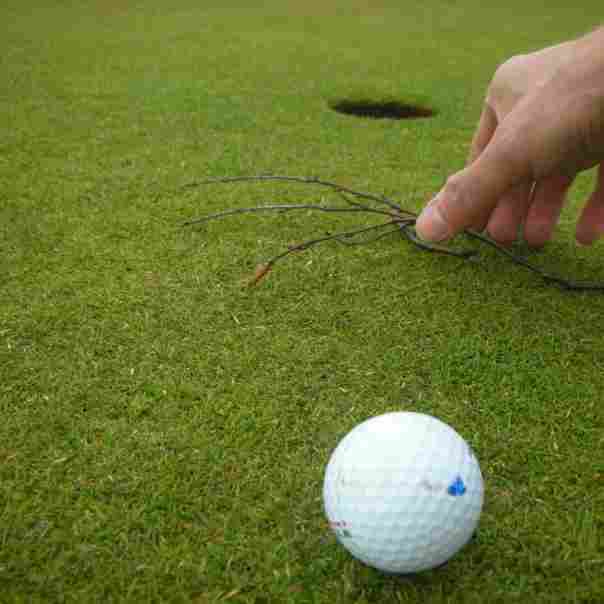 If the hole has the flagstick in and the player hits the ball on the flagstick, the penalty will be two extra strokes. New Rule: In the new rules, there will be no penalty in this case anymore. Old Rule: When your ball is inside the bunker and inside of it has leaves or anything close to your ball, it’s required that you leave whatever is in place. You can not touch the sand with your hands or with your club touch the sand while the ball is inside the bunker. If you do not follow this rule, the penalty will be two extra strokes. New Rule: With the new rules of the next year if there is something that does not belong to the sand near your ball you are allowed to withdraw it. What you can not do is use your hands or your club to analyze the sand conditions, touch the sides or the front and back of the ball, and you also can not practice the swing inside the bunker. Old Rule: If the caddie lifts the ball from the ground on the putting green to replace with a new ball without the player’s authorization the player will take a penalty of one extra stroke. New Rule: In the new rules if the caddie exchanges the ball that is in the green for a new ball without the authorization of the player will not be a penalty anymore. All of the above rules make me pretty excited to watch and play golf in the coming year! Although golf has many traditions and rules that uphold these traditions, the sport can definitely use this makeover.